Scotland has always had an independent streak. It was one of the only parts of Europe that successfully resisted Roman rule. The Emperor Hadrian, sick of skirmishing and raiding, built a wall at the border of Scotland, and the Roman Empire never went north of that point, despite four more centuries of conquering and expanding around the rest of Europe. After the Western Roman Empire fell, the Scots and the English bounced back and forth fighting and reconciling in wars and reversals for ages, before coming under one monarch by virtue of the King of Scotland becoming the King of England in 1603. A hundred years later, in 1707, the two parliaments voted the Acts of Union, making one country of what had been two. What is happening now is a kind of unwinding — devolution of powers to Scotland in 1999 restored the Scottish Parliament. 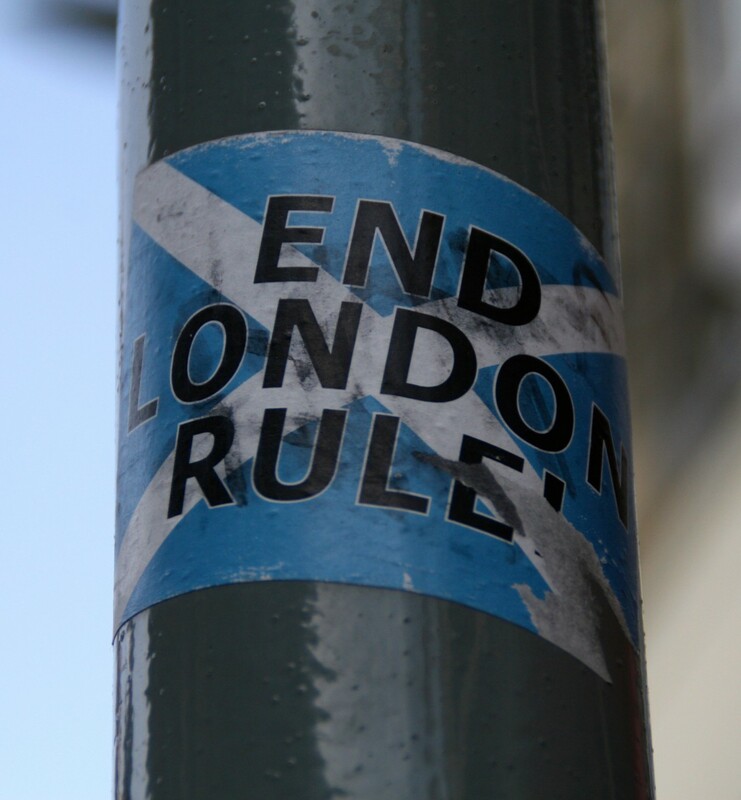 After much political wrangling, the leadership in London and Edinburgh have agreed that residents of Scotland might put to a vote whether to remain part of the UK or to become an independent small European nation, and the decision was set for September 18th, 2014. 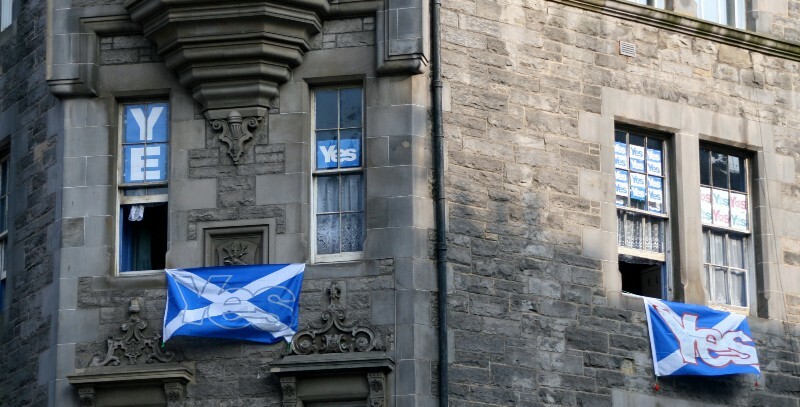 There are many internal issues that have brought Scotland to this point — a hotly-contested 50/50 contest — but for the rest of the world, the consequences of a Yes could be immense. Already the Catalan region of Spain is taking the Scottish model for its own, and gearing up for the legal fight about holding a referendum on whether Catalonians wish to remain part of Spain on November 6th. Flanders is eying independence from Belgium, or a union with The Netherlands. Corsica has had a movement to break from France since the 1960s, which has been growing more active. A map of secession movements in Europe is a crazy quilt, with some far more serious than others. It’s even easy to see how a peaceful and successful Scottish separation from the UK could give the old secessionist undercurrents of Texas and California ideas. The European empires have been breaking apart since the mid-20th century, but this wave of secessionary feeling has a different flavor, because what nations face now is so different. Through much of history, from when the Romans started galavanting around it, Europe has been the most consistently violent place in the world. Its wars lasted at times for decades, and even perhaps a century or two: flaring up, wiping out towns, institutions, and generations, and shifting lines a bit before dying back down. The Peace of Westphalia, from which we get the concept we now think of as national sovereignty, was meant to put a stop to this. It failed. Even the war at the time between France and Spain continued for ten years. The rise of the great powers in the 19th century was also meant to create a European peace, with fewer nations and an obscenely high cost for war. Exactly 100 years ago, the European powers proved they were willing to pay that price and plunged into World War One, the most terrible conflict humanity had ever seen. The Great Powers broke up four empires at the end of World War One, partitioned them around, punished the losers, and within 20 years were into World War Two, the most devastating conflict in all human history. An unimaginable 66 million people lost their lives to the project of creating great nations and their great armies. The remaining great powers at the end of that war, all European except for America, spent the next 50 years threatening to actually end human life on earth. The 20th century proved beyond doubt that big nations were by themselves no hope for peace. But in the later part of the 20th century, Europe did strike on something — they built a coalition of governments that managed something that hadn’t been done since the Romans built the wall in front of Scotland — over 60 years of peace. They did this by giving up many of the ideas of sovereignty developed in Westphalia, and making the European Union. The EU was even awarded the Nobel prize for doing what no power could for more than a dozen centuries — keeping Europeans from slaughtering each other. 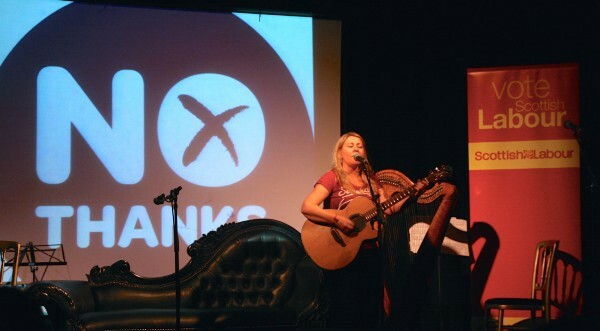 Now, about half of Scotland wants to go it alone, except not really. If it gains independence Scotland intends to make its way back into both the EU and NATO as fast as possible, along with likely seeking closer connections to the Nordic league. A small nation, yes, but tightly bound to the systems that have created much of the global stability we have, for both good and ill. The other half want to remain part of a great, if also greatly diminished, power. The UK, America’s special friend, still has a big swing for its size. Great Britain is still great. It has a seat at the UN Security Council, and say in the movements of nations and people around the world. It’s still a place that feels powerful, though a power that is deeply in flux these days. Is it better to flock together into one great thing, to surrender identity to be part of unity? Or is it better to be one of many small pieces, loosely joined? Scotland answers that for itself in 6 days, but it’s likely that question, and what Scotland says to it, will echo through the world in the decades to come.